Cloud computing and mobile applications are creating true mobility in the conveyancing industry and making it possible to manage files completely electronically. Join us to see some of the latest technology and learn how to access your matter information from anywhere, manage your files without touching paper and optimise efficiency through integration and new eConveyancing tools. 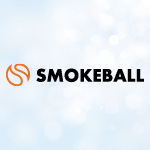 With an extensive legal background and having worked with conveyancing software for over 10 years, Paul brings a wealth of legal knowledge and hands-on experience to his role as Smokeball Australia’s General Manager. Previously Paul spent many years working within sales teams, as a Sales Manager at InfoTrack and in various sales roles at Leap Legal software, where he developed a great understanding of software and his customer’s needs. Paul holds a Bachelor of Arts/Bachelor of Laws from the University of Queensland. Roberto Gomez is an experienced Account Manager, who has completed an Advanced Diploma of Conveyancing and has worked in various conveyancing firms. Roberto understands customer needs and the importance of building and maintaining strong, long-lasting customer relationships. Roberto has helped hundreds of professionals across a wide range of industries to achieve their goals and continues to rise to the challenge and opportunity to provide the same service to his clients.